Welcome to Onsager, Werner & Oberg P.L.C. The attorneys at this firm are pleased to offer years of specialized training and experience in multiple facets of the law. 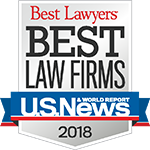 Listed in US News best law firms in both Tax and ERISA. Click here to find out more.